Black Friday is something that has become synonymous with businesses and customers around the world. Lots of countries celebrate it, and they all do so in their own specific ways. Sometimes, they restrict it to Friday only. At others, they make it a week-long thing, hold it on different dates and more. No matter what your business plans to do this year, it’s beneficial to use this as a marketing opportunity. It can also present plenty of stumbling blocks, and that’s where we come in. There are a lot of marketing blunders we could mention, but we’re going for this one. I’m going to assume that you’ve already got an elaborate social media plan in place. But, if you fail to include the Black Friday hashtag in your posts, it won’t reach as many people as it should. You might not realize it, but there are lots of people who check that hashtag all day for the latest deals. If you’re not showing up, your deals will go unnoticed by the social media masses. Alright, you’ve got a bit of time until Black Friday this year (it’s late November!). So, use this chance to get a proper inventory system going. Maybe, you want to buy barcodes from www.barcodesolutions.co.za? This could assist your audit and stock ordering process. Maybe, start predicting customer trends based on other companies’ Black Friday experiences? On the big day, you don’t want to run out of stock. Oh, we’ve all seen this before. A company advertises a too-good-to-be-true sale, and everyone clicks onto the website immediately. Before anyone can make a purchase, the site crashes. A failure like this could mean the company misses out on huge profits. Think about a good web hosting company from somewhere like www.webafrica.co.za/hosting/. Make sure it can cope with the demand. We’ve all seen those scary pictures of stores being looted by over-eager customers, right? We don’t want our store to get like that. If you think there’s a chance of it happening, consider hiring security for this purpose. It won’t be something everyone needs to do, but it’s worth keeping in mind. This is the one chance where you’ve got much more interest than you’d usually get. Why aren’t you taking advantage of it?! Use this opportunity to get customer information and add them to mailing lists. Find ways to keep them in the loop in the future, rather than capitalizing off one sale. You’ve got a chance here to satisfy customers’ needs and make a little extra money in the process. They want that ultra-cheap TV deal? Great! Why not add a games console and a few DVDs into the mix? Think about bundling and finding ways to maximize profit even further. Train your staff ahead of the day, so they don’t forget about this amidst the chaos. The individual-centered economy is already here. The newest digital technologies – among them social media, mobility, analytics and cloud – keep changing how people, businesses and governments interact. The transformation that is already underway will soon intensify, resulting in a paradigm shift from customer-centricity toward an everyone-to-everyone (E2E) economy. The implication for value creation and allocation will be profound. Currently one of many concerns for the retailer is getting the best product and the best price to its customer. Could the evolution of Social Retail develop a new relational model to offer clients valuable services together (recipes, nutritional info, personalized recommendations for dietary and much more) to bring a healthier and more comfortable life. With the Olympics just around the corner, there is no better time for the UK retail market. The spend from non-EU tourists has grown 34% against last years figures. Much of the growth is being fuelled by visitors from China, Southeast Asia including Singapore, Hong Kong, Malaysia and Thailand. 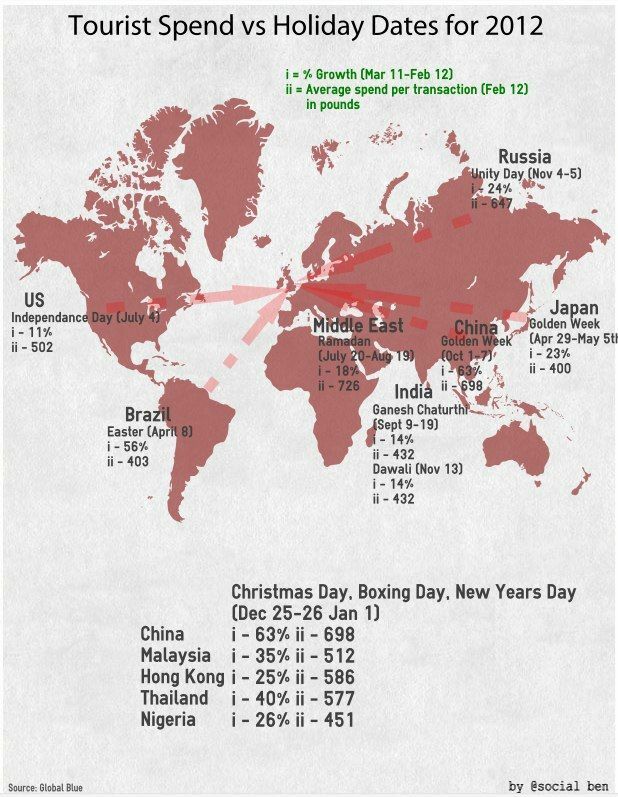 The below infographic shows the growth percentage and the average spend per transaction of various nationalities. 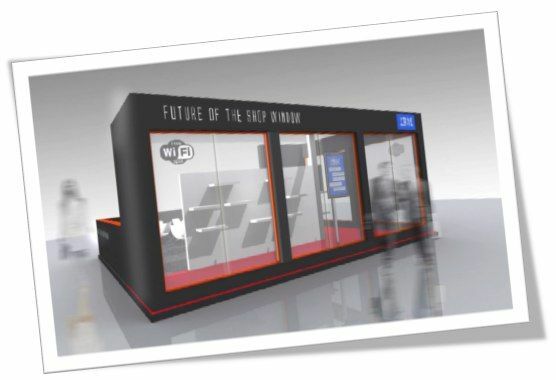 The ‘Future of the Shop Window’ is a brand new area for the In-Store Show 2012, designed and delivered by Collaboration Matters and powered by IBM. The audience where able to participate and influence changes in the actors next moves by tweeting certain hash tags on the day. Whilst also taking part in Social Business conversations that where posed by the audience and Collaboration Matters. Collaboration Matters & IBM will be bring this concept to the Inspiration In-Store Marketing event, on the 27th-28th June, with a whole new design around the shop window. Instead of mannequins in the window there are real people! Watch as the shop window becomes an interactive catwalk. What’s more you can shape the action that takes place behind the window through the power of Twitter. This will be a great event with a great line up. Check it out here and register. I hope to see you ther. A smarter approach to commerce starts with embracing empowered consumers and placing them at the center of your operations. While customer focus is not a new idea, truly making it happen on a smarter planet requires electronics manufacturers to discover, gather and act on insights generated through social commerce. This approach helps companies more effectivelymarket, sell and service their products as well as better align their supply chains—resulting in improved margins, new revenue streams, better efficiency and improved outcomes across the value chain. 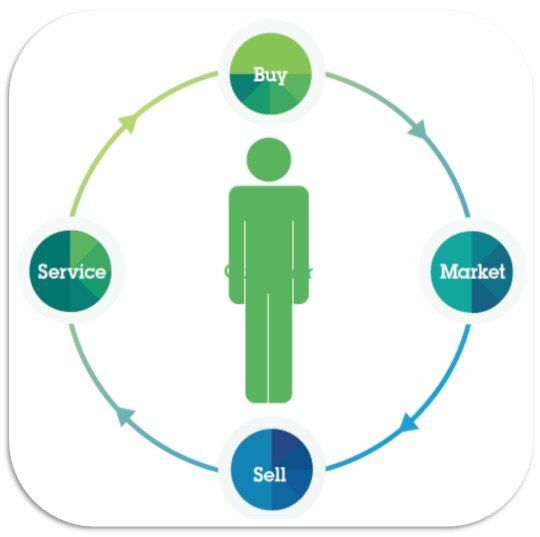 A smarter commerce approach can help transform and improve efficiency at each stage of the commerce cycle: buy, market, sell and service. Buy—Optimize supplier and partner interactions based on changes in shopping and buying behavior from across the supply chain. Generate new and differentiating customer value by reconsidering partner roles and relationships. Market—Deliver timely and personalized engagement across multiple touchpoints by using deep insights about customers gleaned, in large part, from the global conversations taking place online. Sell—Facilitate customer and partner engagement so they can collaborate across touchpoints using the interaction method—such as person-to-person, digital, social or mobile— of their preference. Service—Enable streamlined customer service across customer interactions and channels, and anticipate customers’ behavior and take action to keep them loyal. To achieve this depth of personalization in a four-part customercentric process, smarter commerce focuses on two key business imperatives to support the empowered customer: create consumer-driven buying experiences and develop adaptive supply chain networks.